Essential to all life, water is a precious commodity. This is especially so in the arid land of South Australia. The Myponga Reservoir is an important source of filtered water and the main supply to the south coast and the southern metropolitan areas of Adelaide. Not only does the reservoir keep South Australians in this area hydrated and clean but it also has a vantage point that offers awe-inspiring views and has a compelling history with a little bit of mystery. It was Loran Eiseley author of The Immense Journey in 1957 that said "if there is magic on this planet, it is contained in water". 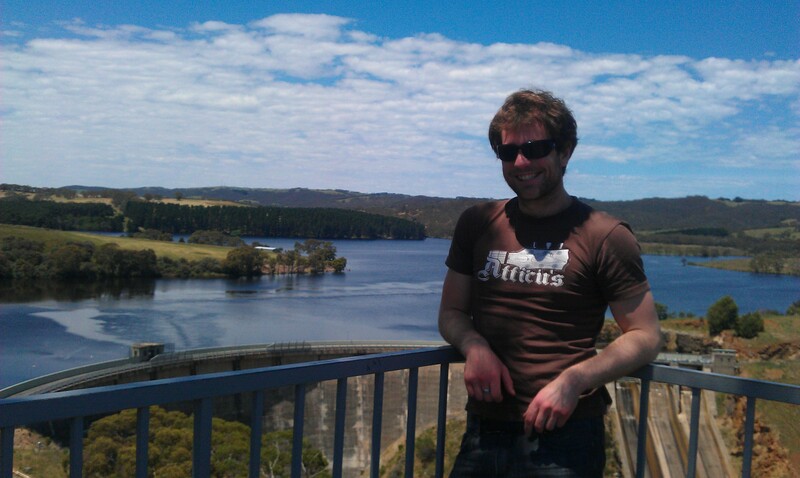 At around this time, construction of the Myponga Reservoir began and the sight from the lookout today is nothing less than magical. On a fine day, the sun sparks light that glimmers and shimmers on the surface of the deep blue expanse. Meanwhile in the green surrounds of the pine forest, a light breeze whispers secrets through the trees. 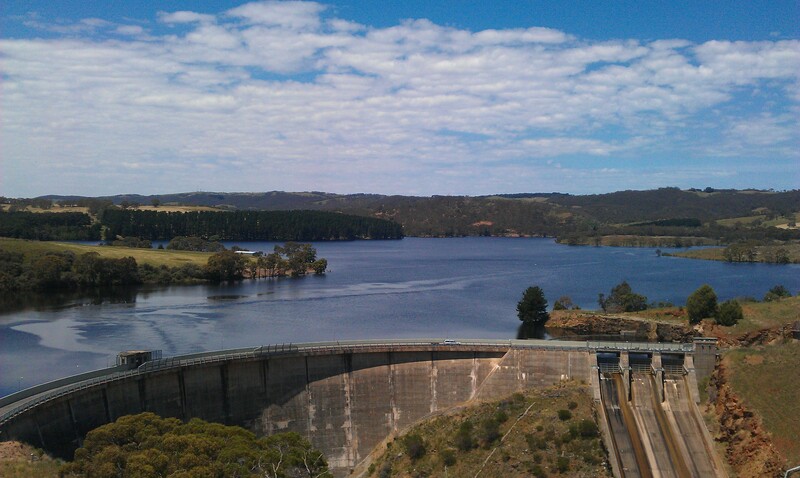 The Myponga Reservoir was a four year project that was completed in 1962 but conceived decades earlier in the 1930s when the need emerged for another location in Adelaide to store and supply water. And so began plans to employ the Myponga River catchment for this purpose. The area was once farming land and known as "Lovely Valley". Many consider it to be even lovelier now that it can hold up to 26800 mega litres of water spread over 2.8 square kilometres and contained by a concrete arch wall 49 metres high and 226 metres long. It was an impressive engineering accomplishment that didn't come without complication. A massive landslide hindered the construction of the dam. Legend has it that one worker was in his truck as it hurtled down the face of a cliff when the land gave way beneath him. Another was trapped in a pipeline as the debris came down around him. Both made a lucky escape and survived the incident unscathed. 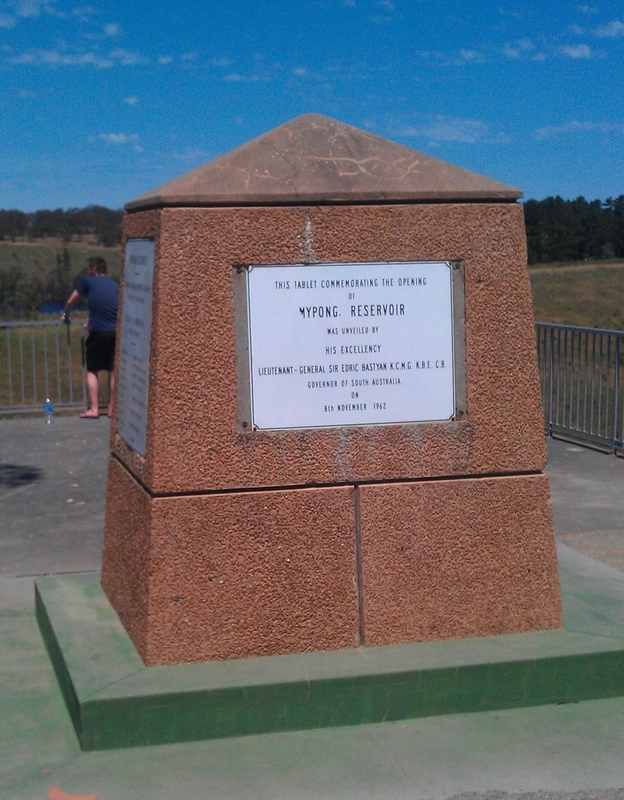 On November 8th 1962, the Myponga Reservoir was officially opened by the Governer of the time, Sir Edric Bastyan. A tablet was erected at the lookout to commemorate this. It records statistics of the reservoir and lists the engineers that worked on the project. Whilst mostly a place of tranquility, the history of the reservoir also includes a dark chapter. In 1990 it was implicated in some of South Australia's notorious unsolved mysteries. After information provided during a committal hearing, the reservoir was searched for the remains of the missing Beaumont children, Joanne Ratcliffe and Kirsty Gordon. The search was a difficult task for police, due to the vast depth and blinding darkness of the water, and required specialised training and much planning. After a comprehensive dive mission it was eventually determined it to be a false lead as no evidence was discovered. The disappearances of these children remain a mystery. 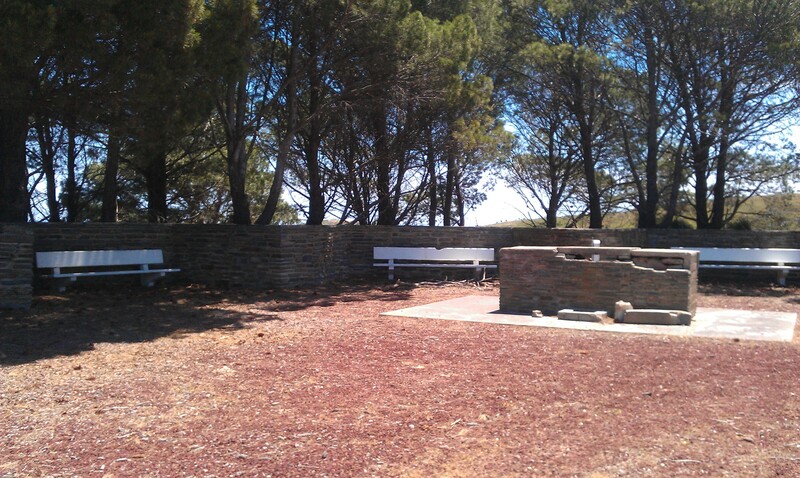 Once upon a time the lookout of the reservoir would have been the idyllic location for a family picnic. Now, however, the dilapidated picnic area begs for maintenance and repairs. The ruins of broken barbecues tell tales of better times and the public restrooms have been condemned "closed due to constant vandalism". It is a "dam" shame that the area could not have been preserved as the vista is as spectacular as ever and tall gum trees provide shade over peaceful park benches. Regardless of its current state, you can still enjoy some rest and relaxation time out here surrounded by nature with a packed lunch and a cool drink. 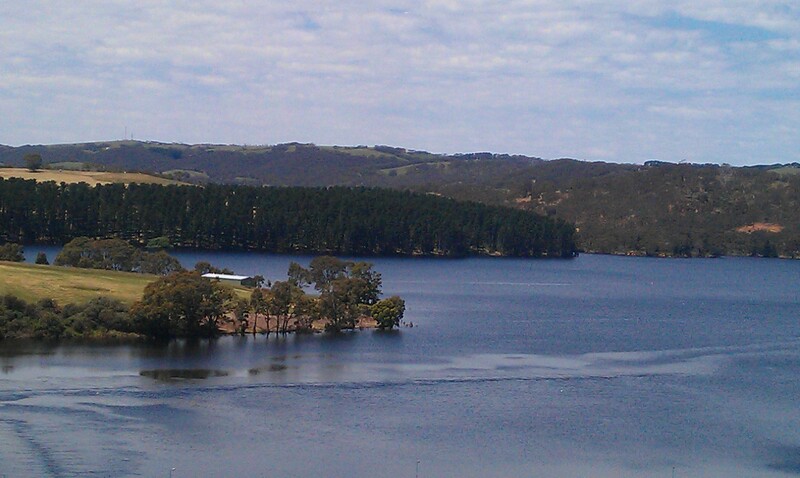 Located approximately 60 kilometres south of Adelaide on the Fleurieu Peninsula, the reservoir makes a wonderful stop over on the road to Victor Harbour and Normanville. Or spend the day exploring Myponga where on the weekends you can peruse the craft and produce market, sample the boutique beer at the brewery and, of course, enjoy the views from the lookout of the Myponga Reservoir. Cost: Like all good things, it's free!